This article appeared in the Philipsburg Journal on April 14, 2017. 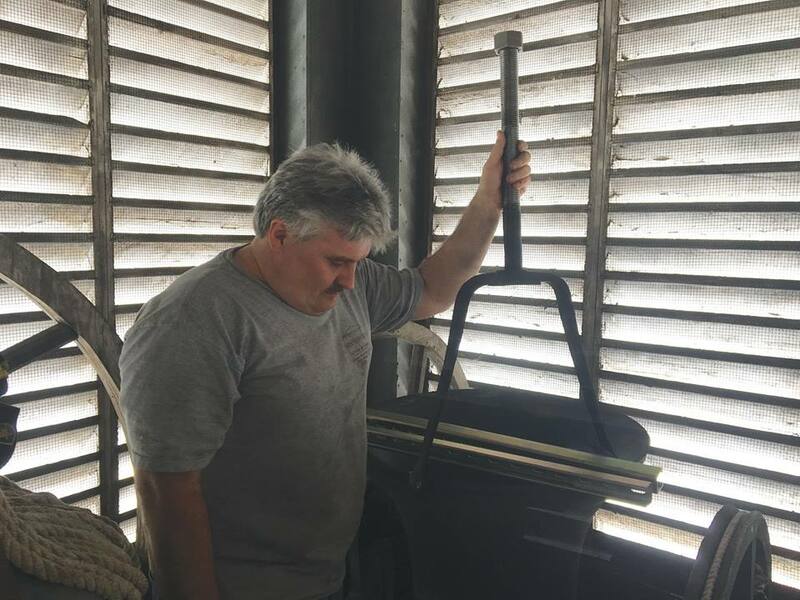 The bells of St. Laurence Episcopal Church in Osceola Mills, which have not resounded together in some time, will ring in the Resurrection on Easter Sunday at 11 a.m., thanks to rehabilitation by master bell restorationist Brian Michaels of Forest. Delivery of a newly-fabricated part for one of the bells last week means that all three of them will be ready for their debut by Easter. “To think we looked high and low for someone to bring back our bells, only to find an expert right in our own back yard,” says church board member Sheila Heath of Chester Hill. “… He took a look, pronounced our bell tower good and solid, and prescribed a little TLC for two of our three bells, only one of which was in working order,” says church organist Luther Gette of Michaels. According to Michaels, only a little cleaning and oiling was needed for two of the bells, along with tightening up the mounts, some new bell rope, etc. “It was bell number three – the middle in tone – that required a new bolt, since the old one had rusted out and could no longer hold the clapper assembly,” Michaels explains. The three bronze bells of St. Laurence Church were cast by the McShane Foundry in Baltimore in 1898, only six years after the church was built in 1892. They were first housed in a small, temporary bell tower until the present tower was built in 1904 by the Osceola Lumber Co. The present restoration was undertaken as part of a general sprucing-up for the 125th anniversary of the church. “We’re hoping the bells can ring once again for many occasions in the community, such as the Fourth of July Parade and Osceola Spirit Days,” says Fr. William Walker, pastor of St. Laurence. Article submitted by Luther Gette, organist at St. Laurence, Osceola Mills. This entry was posted in Events and tagged Music, St. Laurence. Bookmark the permalink.